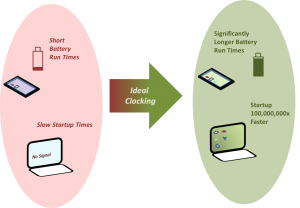 Ideal Clocking translates into nearly all electronic devices starting up millions of times faster than they currently do, at much lower power, and at reduced development and material costs. 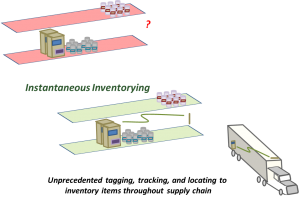 Subsequently, Instantaneous Technologies offers quantifiably large benefits to practically all ICs. 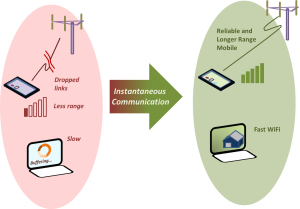 Instantaneous Wireless (IW) translates into far more flexible and efficient radio frequency (RF) communication. 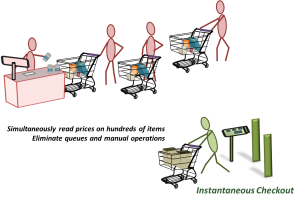 Whole new applications, and vast improvements on existing wireless networks, now become possible via IW: instantaneous grocery cart checkout, instantaneous inventorying, and two-way distancing. Founded in 2012, the salient innovations offered lead to technically superior products resulting from decades of experience in analog IC design on high profile projects and products. 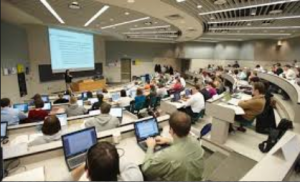 Our focus is on helping your business achieve superior technical products and greater market share by utilizing Ideal Clocking and Instantaneous Wireless. We offer flexibility and professionalism in consulting, defining and bring to fruition new products with superior performance which helps you achieve your business goals. Do you need help defining the next generation of compelling products? What about one-on-one consultation to bring your design goals to fruition? We’ve got that. Where do we deliver the most? In our client’s results. We have both the experience and talent to deliver successful silicon and innovative products to far surpass current products. Our clients are thus better positioned to compete with compelling and unmatched products.